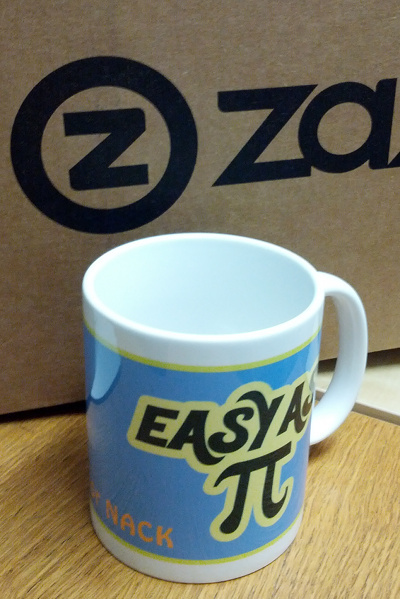 Hot off the potter's wheel, the illustrious 'Easy as Pi' mug has landed. Yay! "They're pretty good for drinking tea from." "The colours were chosen using the very latest technology; the internet." "I think they're awful. Oh, the mugs are fine. I was talking about something else. Where's your wallet?"